October has come and gone and I survived the Halloween season for the most part. I did break into a hidden stash of candy prior to Halloween night, but shared it with the rest of the family, limiting myself to less than I normally binge on. I have only had a couple of fun size pieces from the collection my daughter picked up Monday night. Now that the candy is behind me (for the most part) I'm refocusing on a few fitness and nutrition goals for the rest of the year. I have recently switched from whey protein powder to a plant-based one. I'm enjoying Vega's protein and greens chocolate flavor powder. I mix it with spinach, banana, blueberries and skim milk. Honestly, I don't know what to look for in a protein powder. Compared to my previous go-to, Body Fortress, Vega has fewer calories, fat and sugar. But it also has less protein and more sodium. 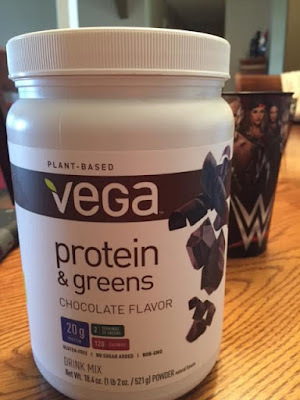 I've read that plant-based protein is better and Vega has 20 g of it along with two servings of greens including alfalfa, spinach, broccoli and kale. The other factor this month is Thanksgiving. Luckily it's only a day or two (with leftovers). 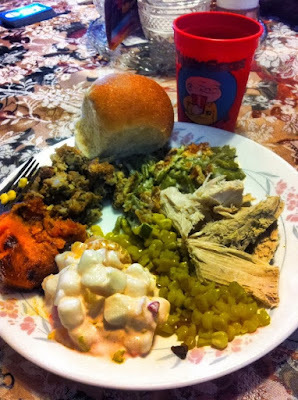 I'll be looking for healthier options to add to the table this year, but at the same time not completely giving up on my favorites (White Castle stuffing is amazing). Daily running is still a thing, but so is weekly craft beer. My sleep has not improved and I haven't seen the inside of a gym in months. I'm not waiting for the new year to restart the working out. Here's to getting a jump on 2017.